There is nothing more decadent than whipped body butter. It moisturizes and nourishes the skin. Whipped body butters are mostly made with butters and solid oils. You can incorporate smaller amounts of liquid oils to add additional properties to your whipped body butter. If you add too much liquid oil, it will lower the melt point of your whipped body butter and it will melt too easily. Cocoa Butter - Cocoa butter is thought to reduce skin dryness and improve elasticity. Shea Butter - Shea butter is high in vitamin and mineral content, which is thought to benefit dry skin. Mango Butter - Mango butter is thought to exhibit excellent moisturizing properties. Tucuma Butter - Tucuma butter is considered to have high levels of Lauric, Myristic and Oleoic fatty acids, which are all thought to moisturize the skin. Kokum Butter - Pure kokum butter is considered to be up to 80% of stearic-oleic-stearic (SOS) triglycerides, which are thought to prevent dry skin. One of the most stable and hardest vegetable butters known. Shorea (Sal) Butter - Contains high levels of uniform triglycerides, which are thought to help with oxidation and stability in formulations. Fragrance - You can fragrance whipped body butter using both fragrance oils and essential oils. The typical usage rate for both is about 2% of the total recipe, but double check IFRA guidelines to make sure you comply. Tapioca Starch Powder - Tapioca starch in whipped body butter helps to cut down on the greasy feeling. The usage rate is 1 tsp. for every 4 oz. (115 g) of body butter base. You can formulate your own whipped body butter recipe by using the percentages below. Begin by creating the base. We recommend starting with the percentages below. Once you have created a desirable base, incorporate additives at the percentages/amounts listed. *You can experiment with adding in liquid oil for part of the solid oils, but it will change the stiffness of the mixture. Below are some sample whipped body butter formulas. It is important to remember that harder butters create a more solid whipped butter with a higher melt point and liquid oils can reduce that melt point. Keep the use of liquid oils low, and be sure to pair them with harder butters such as kokum butter, shorea (sal) butter and cocoa butter. Refined Shea Butter - 15 oz. Coconut Oil - 5 oz. Cranberry Butter Blend - 15 oz. Coconut Oil - 4 oz. Macadamia Nut Oil - 1 oz. Kokum Butter - 12 oz. Refined Cocoa Butter - 5 oz. Avocado Oil - 3 oz. Mango Butter - 15 oz. Almond Butter Blend - 4 oz. *These recipes do not require you to melt butters prior to mixing. Whipped body butter is typically packaged in jars so that the user can scoop out as needed and apply to skin. It is important to note that since air is whipped into the body butter, product weight is about ½ of what the container is specified for. For example, 4 oz. of whipped body butter will fit into an 8 oz. plastic jar depending on how much you whip it. Plastic Jars - There are a variety of plastic jars that can be filled with whipped body butter ranging from straight-side tall jars to lower profile squatty jars. Deli Tubs - Deli tubs are an adorable way to package whipped body butter. It almost looks like a container of ice cream when packaged. When you are using shea butter, mango butter and most of the fancier butter blends, you don’t need to melt prior to mixing. They are soft enough to whip. Sometimes higher melt point butters/oils will require that you melt prior to mixing. These include cocoa butter, kokum butter, sal butter, palm kernel oil and babassu oil. Even softer oils stored at chilly room temperatures will need to be softened before whipping. Use this process when your recipe consists of shea butter, mango butter and other soft butters or blends. Step 1 - Place all of the ingredients into a mixing bowl. 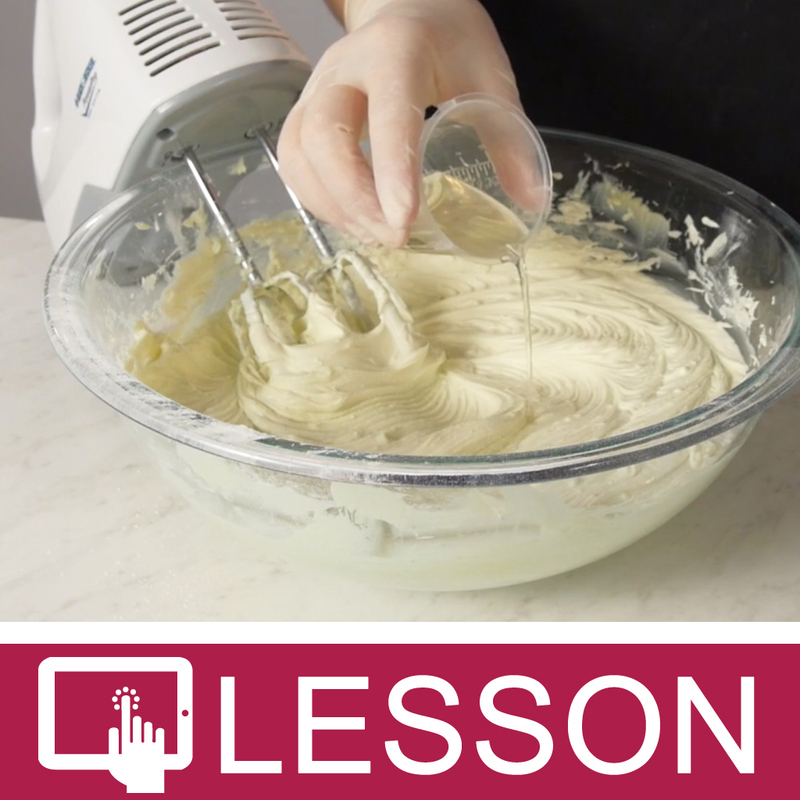 Step 2 - Whip using a stand mixer or hand mixer for about 10 minutes or until all ingredients have combined and doubled in volume by whipping. Step 3 - Spoon into containers. Use this process when your recipe contains hard or brittle butters. Step 1 - Melt hard and brittle butters. Step 2 - Add other softer butters or oils. Mix well. If mixture starts to thicken, you can start whipping. If mixture is still clear and hot, put into the fridge for a short time to drop the temperature to where the mixture is starting to solidify. Step 3 - Remove from the fridge and add all of the additives (fragrance, tapioca starch, vitamin e). 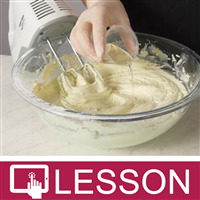 Step 4 - Whip using a stand mixer or hand mixer for about 10 minutes or until all ingredients have combined and doubled in volume from whipping. Step 5 - Spoon into containers. "I have some Tangerine Butter and not sure what to make with it. It smells divine. Can the Tangerine butter be whipped up with some Arror root powder?" Staff Answer Yes it can. It will make a great whipped body butter! "Good day, I have formulated a whipped body butter with your guidelines, I would like to know if this can work. The total amount I would like is 48 ounces. And how much arrowroot powder should I add ? I live in the Caribbean. Ingredients as follows: Shea Butter : 14 oz Mango Butter: 11 oz Cocoa Butter: 11 oz Coconut oil : 12 oz Lavender 40/42 Essential oil : .15 oz / 4.44 ml Vitamin E oil : .50 oz Thank you in advance "
Staff Answer This recipe should work for you. You can start with .50 oz. of arrowroot powder and add more if you want it to feel less greasy. You, of course, need to test your recipe to be sure it performs correctly. "I love this info on whipped body butters. My question is when the season turns warm again, do you have a recipe that has added beeswax or soy wax that can help it stay some what stable? Instead of it turning into mush or liquid. Thank you. " Staff Answer We do not have a particular recipe but when calculating one for the summer months, try to use butters with higher melt points and also use a solid oil, such as palm kernel flakes, coconut 76 or babassu which will add firmness to the product. "I'm interested making this: Mango Butter Whip* Mango Butter - 15 oz. Brazil Nut Butter Blend - 4 oz. Jojoba Oil - 1 oz. Fragrance - 0.4 oz. Tapioca Starch - 5 teaspoons Vitamin E - 1.5 teaspoons I don't see the Brazil Nut Butter blend when searching for the product to purchase. Do you have any replacements that I can use and is that butter no longer available? Thanks!" Staff Answer This butter was discontinued since this article was added to our website. You can use any butter blend instead of the Brazil Nut (aloe, almond, chamomile, etc). Butter blends are usually soft and will whip up very nicely. "How do you master batch whipped body butter? Thanks! " Staff Answer Making a larger batch of whipped body butter in a kitchen aid mixer would work well. It would be much easier then using a hand mixer. "How much body butter will I make with the 15 ounces shea butter, I am trying to figure out what size containers to put them in, once it is whipped.."
Staff Answer It is hard to know how much you would have after whipping. We recommend choosing the size jar you want to use: 2 oz., 4 oz., 8 oz., etc. You may buy a few of each size. You can figure you would need about (8) 2 oz., (4) 4 oz., or (2) 8 oz. jars. "I made a whipped body butter today with your instructions. I used 15 oz cocoa butter, 5 oz sunflower oil, 1 tsp vitamin E and 4 tsp tapioca starch. It turned out perfect. I scooped it into containers and a few hours later, it is hard now. Not a body butter at all like it was a few hours ago! Can you let me know what I did wrong? And can I still save this batch? Thank you!!" Staff Answer Cocoa Butter is a harder butter. You might try blending the cocoa with shea or mango, which are softer. You can also add a little more oil to the formula. There is nothing wrong with your batch, just a little harder than you wanted. This would be great in a warmer climate where the cocoa butter will hold up well. Yes, I live in Texas so I was looking for something too withstand our crazy hot summers. The butter is so hard that it cannot be used at all. I will try splitting the butter percentage up, half cocoa and half mango or shea and see if that works better. Thank you!! "Can you use Arrowroot powder in place of tapioca starch? Also can you make a master batch of unscented body butter and keep it in a container and add fragrance, re-whip, and put in containers as needed? " Staff Answer Arrowroot powder can be substituted for the tapioca starch. You can master batch this but be sure to know the shelf life of your oils and butters so your customers are getting a fresh product.